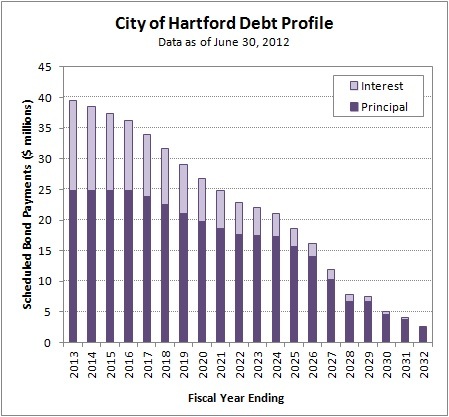 Like an individual bond issue, the overall bonded debt of the City can be analyzed as a stream of future principal and interest payments. 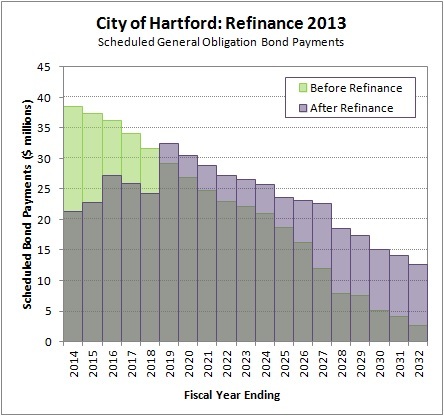 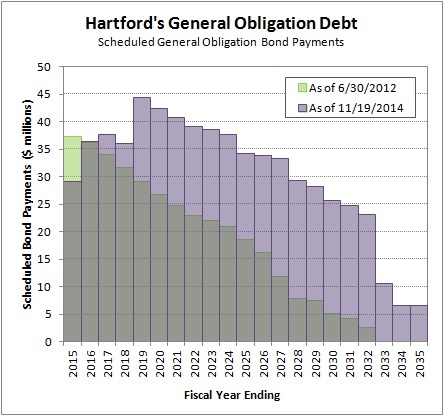 As of June 30, 2012 Hartford’s General Obligation debt included scheduled payments until the fiscal year ending in 2032. 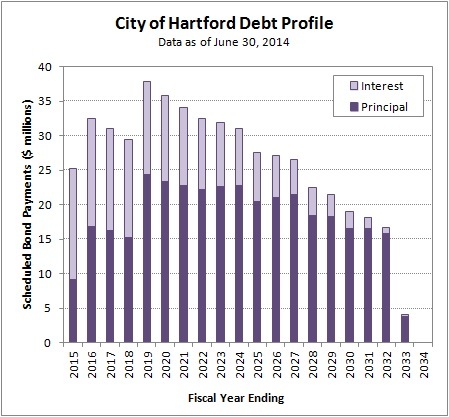 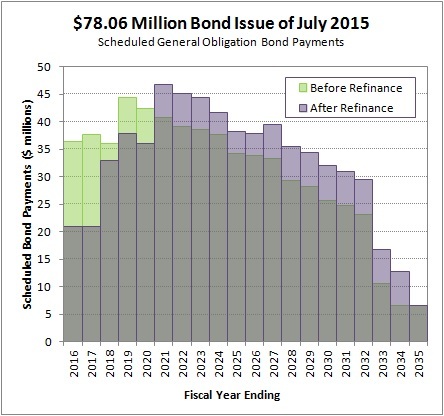 The City’s scheduled debt payments were highest in the near term and decreased over time. 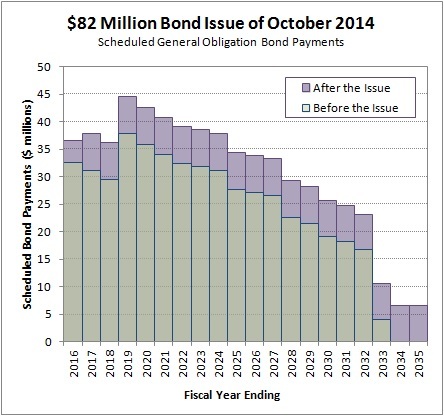 About $25 million in principal was due in each of 2013 through 2016. 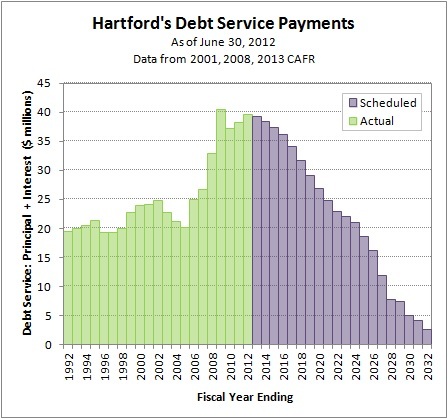 With interest, the payments began at almost $40 million. 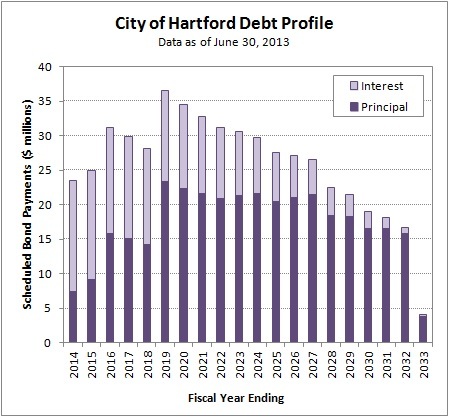 According to data from the City’s Comprehensive Annual Financial Reports (2001, 2008, 2013), Hartford’s actual debt payments (principal + interest) were below $25 million per year through 2006. 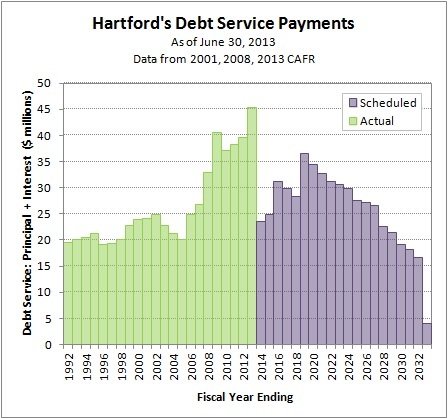 Annual debt service quickly climbed to over $35 million per year. 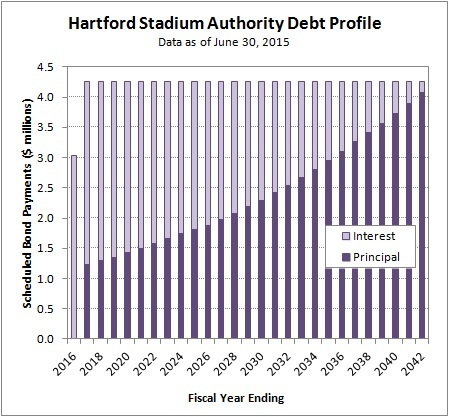 As of June 30, 2012 it was projected to remain above $35 million through 2016, and above $20 million through 2024. 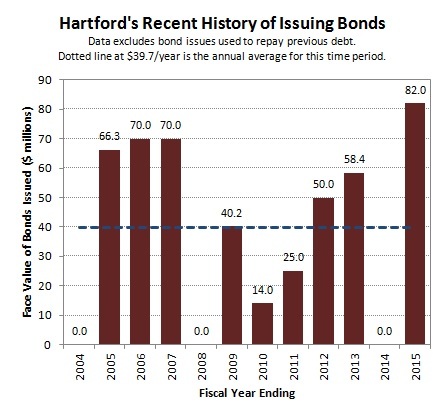 Note that the forward looking chart does not match the information reported in the 2012 Comprehensive Annual Financial Report exactly (Note 8 on the 68th page of the pdf). 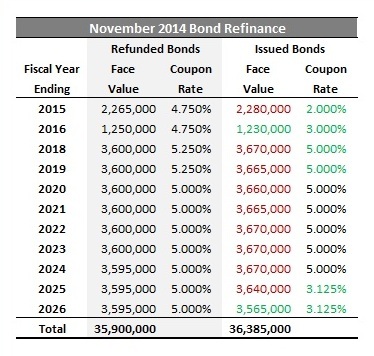 With that said, the calculation is close enough to useful. 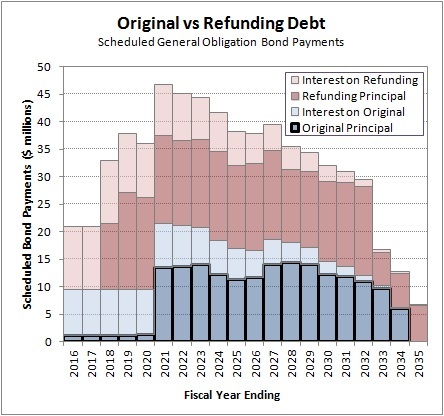 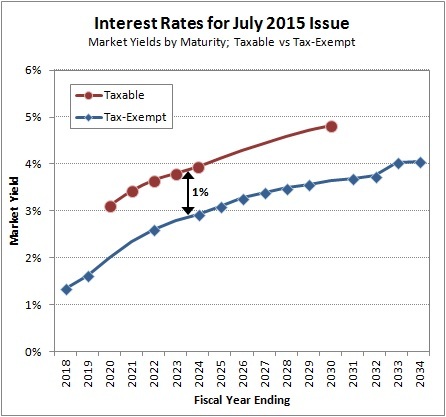 The most meaningful error is an approximately 2% overstatement of the interest payment due in 2013, making the total due in 2013 about 0.68% too high.